Anthony Fredenburg: Civil War Veteran? This Memorial Day weekend, I want to focus on a man that I recently learned was likely my ninth Civil War soldier ancestor. 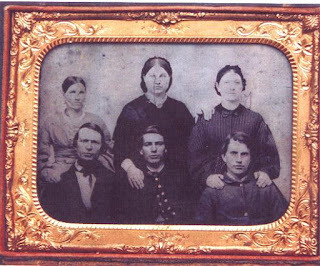 Each one of my direct ancestors who fought in the Civil War is on my dad's side, as my mother's ancestors were either too young or too old to serve in that conflict. In February 2014, I visited Salt Lake City, Utah for my very first genealogical research trip there. It was part research trip, part conference, as I was attending RootsTech, an annual event focusing on information technology as it relates to genealogy. 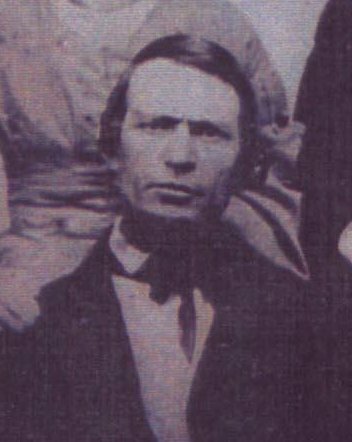 I had several ancestors whom I had "targeted" to be the focus of my research while in Salt Lake City, and one of them was my paternal 3rd-great-grandfather, Sylvester Fredenburg. 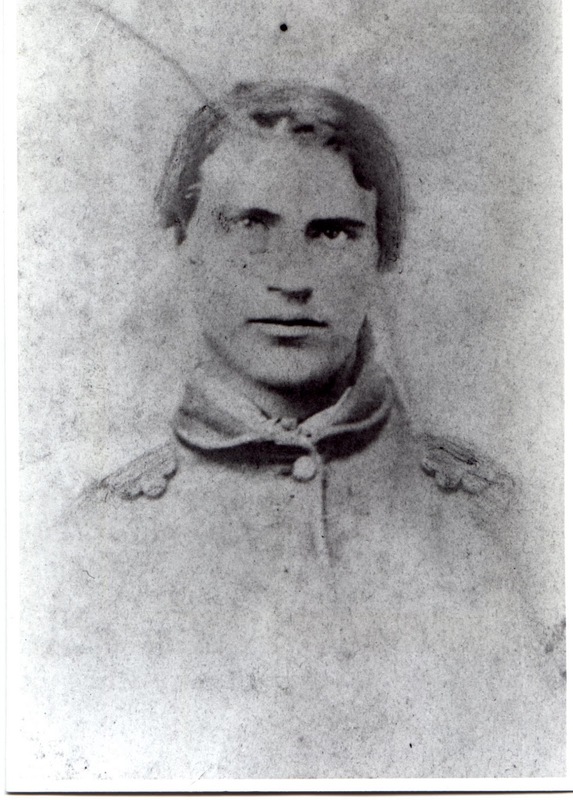 He did several "tours of duty" during the Civil War, enlisting first in 1861 in Company A, 50th New York Engineers; then in both the spring and fall of 1862 in Company I, 33rd New York Infantry; and finally re-enlisting in the 50th New York Engineers in 1864, this time in Company L. In 1998, I ordered his pension file from the National Archives, which gave me the above enlistment information, as well as his death information: 20 March 1879 in Riley Township, St. Clair County, Michigan. 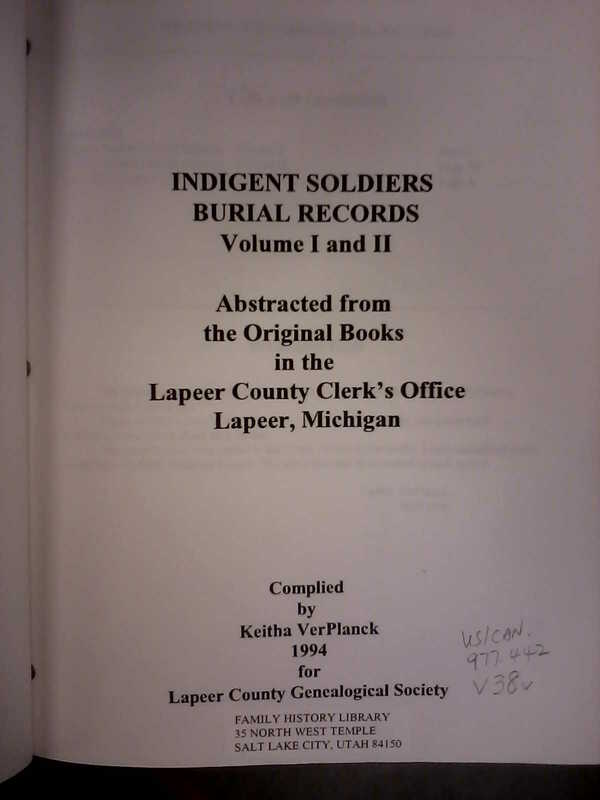 A now-obsolete website on the 33rd New York Volunteers provided me with a burial location in Romeo, Macomb County, Michigan. I contacted the webmaster to determine the source of this information, but never heard back. I also have had several volunteers try to track down exactly which Romeo cemetery Sylvester is buried in, without success. Although he has a memorial page listed on Find A Grave, I have yet to see any record or other documentation that actually lists his grave as being in that particular cemetery. Before leaving on my trip to Salt Lake City, I searched the Family History Library catalog for books and films that might provide answers to where Sylvester was buried. 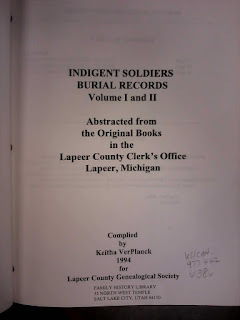 One of them was Indigent Soldiers Burial Records, Volume I and II, Abstracted from the Original Books in the Lapeer County Clerk's Office, Lapeer, Michigan. As I paged through the book, my eye caught the name "Fredenburg." But it wasn't Sylvester listed on the page. It was Anthony, his father! Unfortunately, the regimental information given about Anthony does not coincide with that found in the Indigent Soldiers Burial Records. 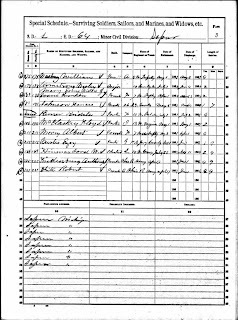 I believe this may be an error made by the enumerator; if you look at the entry directly below Anthony's, for Robert White, it is nearly identical to Anthony's. There is no information given for Post-Office Address, Disability Incurred, and Remarks, for any entry after line 34. This suggests that entries 35 through 37, including Anthony's, may have been written in later, and could explain why his regimental information is basically a duplicate of Robert White's. I have done multiple searches in Ancestry's military databases with a variety of spellings of Fredenburg(h) and Vredenburgh (the original name), and cannot find Anthony listed anywhere. I did find an Andrew Fredenburg serving in Company L, 2nd Regiment, New York Heavy Artillery, but other searches lead me to believe this was a young man, born 1844 in Broome, Schoharie County, New York, who originally enlisted in Eldrige in 1863 in the 9th New York Artillery. I have also looked through lists of pension records, but it seems that Anthony did not apply for a pension. His wife, Hannah (Fox) Fredenburg, died nine months before he did, so there is no widow's pension application. This makes sense, given that Anthony was living off the county poor fund in the months before he died (why weren't his eight or nine surviving children supporting him? Hmmm....). On the left are Anthony and his wife, Hannah. On the right is my ancestor, Anthony and Hannah's second son, Sylvester, with probably his first wife, Mary Jane [--?--] behind him. In the middle is Abram, Anthony and Hannah's oldest son, with his wife, Myra (Chidsery) Fredenburg behind him. 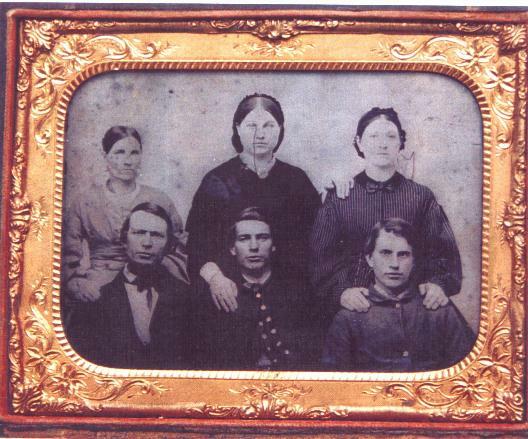 This photo is significant, because it appears to show the Civil War soldiers in the family, although Anthony is not in uniform, as Abram and Sylvester are. 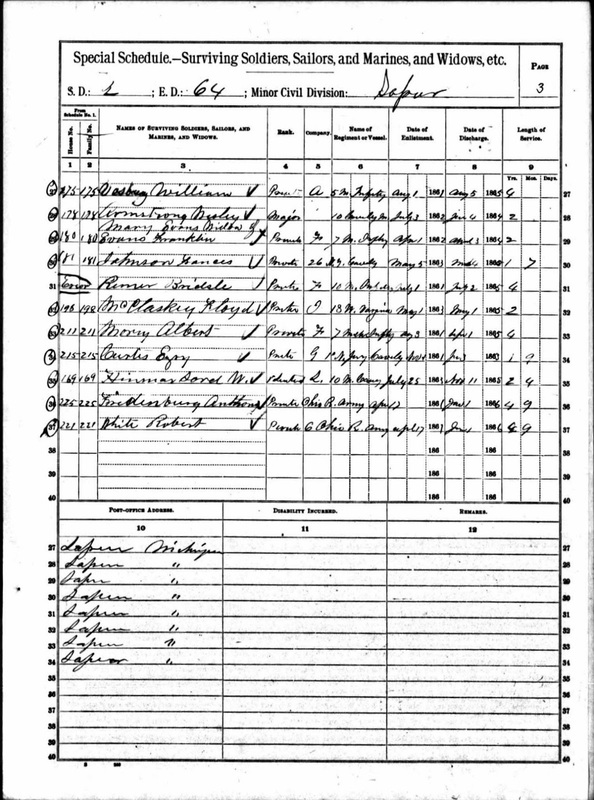 If Anthony did enlist, it was likely after 1861, when Abram and Sylvester enlisted in the 50th Engineers. Meanwhile, I'll keep digging until I can find out for certain when and in what company Anthony enlisted.